the candy canes are "street posts"
marshmallows are falling "snow" and "clouds"
round candy/lollipop without the stick is the "moon"
candy wrappers that are flowing in the breeze are "petals"
round shaped lollipops are "streets lamps" or "telegraph poles"
candy in wrappers are "stars" and "decorations"
The vectoring is just awesome, probably some of your best. 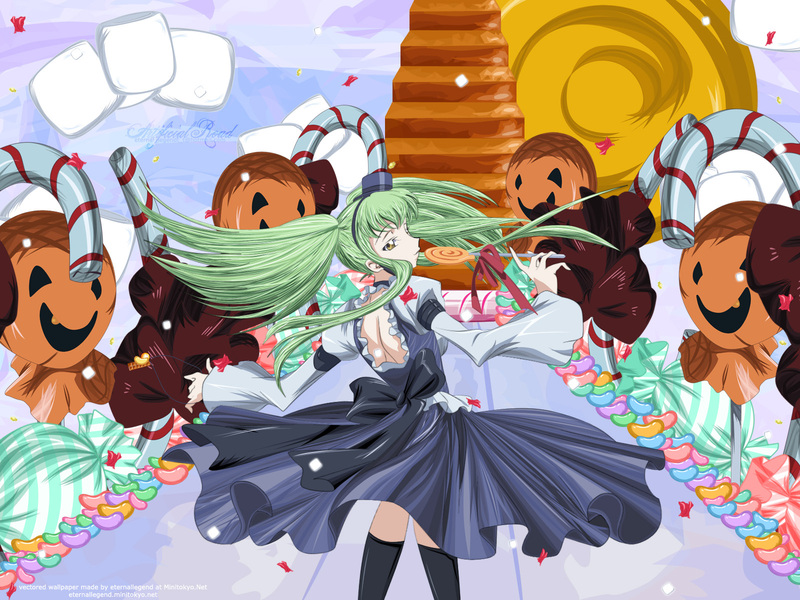 I love the background and though it's suppose to be a winter wallie, it still retains some of it's Halloween-y-ness XD I really love C.C., she'd vectored so well! I how it turned it out, the vectoring it's just...wow! Truly magnificent use of layers. Love every details you've put, it's just as pure as vexel should be. Though like Naomi said, her legs look abit odd. This is a very creative wallpaper you made. 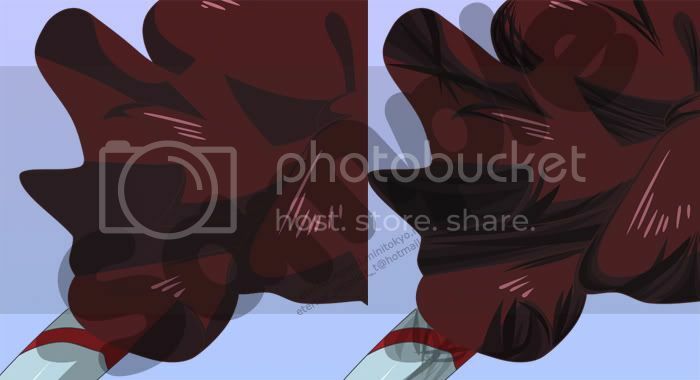 I love how you vectored her dress, looks very realistic. omg!~ beautiful piece of artwork!~ love the sweets!~~~~~~ gah!~~~ i'm hungry! I hope to see more freakishly creative work! Wow this is so sweet! Amazing. You had the skill and the patience to do this. I admire the colors-- all are attractive. And looking at the candies makes me want to eat them. C.C. is definitely like Alice in Wonderland there. She's beautiful. As a matter of fact, this whole wallpaper is beautiful. this is beyond fantastic! I love it, i cant live without it.How could you vector something like that?amazing! A C.C. wall will always attract my attention. An excellent work of art this is. Vectored to perfection, C.C. looks great in this pic. A very creative wall^^ your vexel is awesome! Genius and amazing 0_0 Wonderful work! The vector looks well done, as usually and the background theme reminds me Alice in Wonderland XD! It looks really good, I can't believe how much shading you put into this, makes her dress seem all shiny. I admire your imagination for this one, but the orange lolipops kinda freak me out, the way they look at her (maybe it's just paranoia) and they make it seem like a halloween wall after all.